South Korean conglomerate Lotte is poised to develop a multimillion-dollar real estate complex in the Thu Thiem New Urban Area in District 2, Ho Chi Minh City. Vietnam’s fuel imports may drop as the effects of a tax cut on sales of gasoline and diesel fuel from the country’s Dung Quat oil refinery start to be felt as earlier term contracts expire. The growth rate of export in the first half of the year has been very high with an increase of 18.8% in comparison to the same period of last year. Vietnam wants to promote relations with Paraguay in various fields, particularly trade and culture, based on the sound political relations between the two countries. Vietnam’s Ministry of Science and Technology and its Israeli counterpart inked a memorandum of understanding (MoU) on cooperation in science and technology in Israel on July 25. Some experts have raised concerns over the Republic of Korea (ROK) surpassing China in trade deficit, to become Vietnam’s biggest import market, however, others claimed these worries unfounded and considered it normal as Vietnam is integrating into the world economy. In addition to the wave of investments in the banking and finance sector from financial institutions in Japan, UK, Hong Kong, Singapore, Malaysia and the US, there will be a marked presence of South Korean banks in the Vietnamese market in the near future, observers forecast. Information related to investment attraction policies of the Mekong Delta province of Hau Giang and opportunities for investors to pour capital into agriculture was introduced to a food firm from the Republic of Korea (RoK). The export value of agro-forestry-aquatic products reached 20.45 billion USD in the first seven months of this year, up 14.7 percent against the same period last year, reported to the Ministry of Agriculture and Rural Development. Vietnam’s vegetables and fruits by mid-July continued to enjoy a rosy export growth, boding well for the export revenue of 3 billion USD for the whole year as forecast. Rice cooperation between Vietnam and Australia is growing strongly and will continue to head upwards in the years to come. The Ministry of Industry and Trade (MoIT) will hold bids on the right to use duty quota to import 89,500 tonnes of sugar this year. Only 1% of Vietnamese enterprises are investing in agriculture with an investment of only 3% of the total social investment. Northern Hung Yen province is expecting this year’s main longan crop to decline in quantity and ripen a week behind schedule. The regulations related to aviation transport business licensing shall not be loosened for investors wishing to join the field. Many leading fashion houses have switched from Chinese to Vietnamese makers of leatherware, acknowledging the improved quality of leather craftsmanship in Viet Nam, industry insiders say. Ensuring financial security is vital to promote economic growth amid rapid globalisation and economic-financial liberalisation, experts said at a forum organised by the Institute for Brand and Competitiveness Strategy in Hà Nội yesterday. 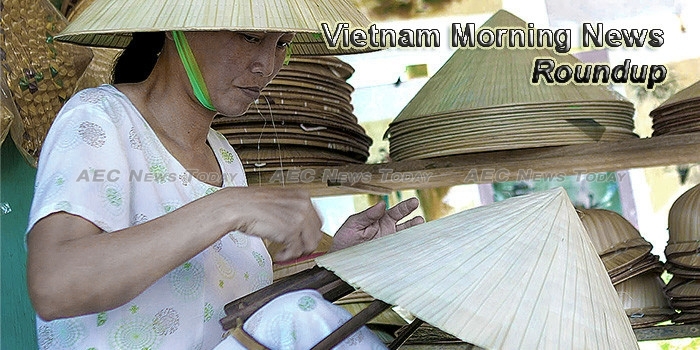 The market of products for mothers and children in Vietnam appears to have huge potential, but it is not easy to earn money from it. As Japan launched a campaign encouraging companies to allow their employees to work from home, some Vietnamese enterprises reveal that they already apply a similar policy, believing that the quality of work is more important than the workplace. South Korea’s LG Electronics Viet Nam was granted preferential customs treatment by the General Department of Customs on Monday. Two international exhibitions – Vietnam Farm and Food Expo 2017 and Agritech Vietnam 2017- opened on July 26 in HCM City, featuring nearly 200 booths set up by 120 local and foreign exhibitors.